You have probably put in a lot of effort into finding just the right wedding gown for your big day. So what happens after the wedding? What do you do with your precious wedding gown? There are several options. If you intend to preserve your wedding gown for your daughter or just for memory you need to take steps to ensure it does not fall prey to time. If you borrowed it from your mother or grandmother, they may want it back. If they don’t mind letting you have it, it becomes doubly necessary to preserve your wedding gown properly. There are 3 possible ways to go about preserving your wedding gown. The first is to simply hire specialized wedding gown preservation services. These specialists are trained professionals. They have all the required tools to ensure that your wedding gown and all accompanying bridal accessories are cleaned properly. They will ensure that no damage comes to your wedding gown and will store it safely. 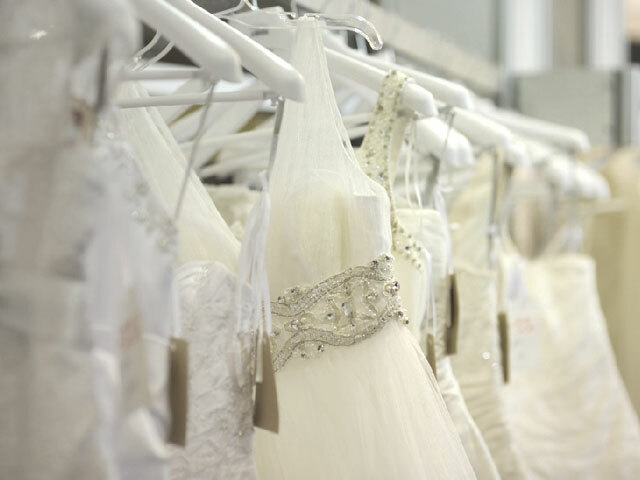 Most wedding gown preservation services are found in large cities, but your gown can be preserved and shipped to you. Of course, these specialists charge a pretty penny for the service so it is not affordable to everybody. A slightly cheaper option would be dry cleaners in your area or city, which advertise wedding gown preservation. Before trusting your wedding gown and bridal accessories to them you want to ensure they have considerable experience in the area. Get a few references if needed. If neither of the two options fit within your budget, you have one last choice remaining: DIY. 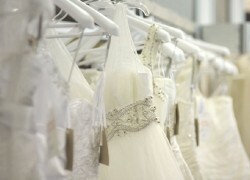 The first step is to choose a trustworthy dry cleaner and have your wedding gown and bridal accessories cleaned. Do this within six months of your wedding at the most. Once you get back your wedding gown, remove all the plastic. Fold the wedding gown. Take acid free tissue paper or unbleached muslin and place between folds. Wrap the entire dress in the muslin and place in an acid-free box. Store the box in a dry, dark place. Avoid places with high humidity or high temperature swings. You will also need to air the wedding gown at least once a year. Also, refold the dress along different lines so that creases don’t develop. Preserving your wedding gown is not difficult to do so long as you do it with care and attention to detail. If you think about the look on your daughter’s face when she has the option of wearing your wedding gown for her wedding, it will all be worth it!